Wendy is co-author of the forthcoming ParentShift: Ten Universal Truths That Will Change the Way You Raise Your Kids. A former newspaper reporter, she is an occasional parenting columnist for the PBS NewsHour, co-founder of Brown Paper Press and author of Relax, It's Just God: How and Why to Talk to Your Kids About Religion When You're Not Religious. 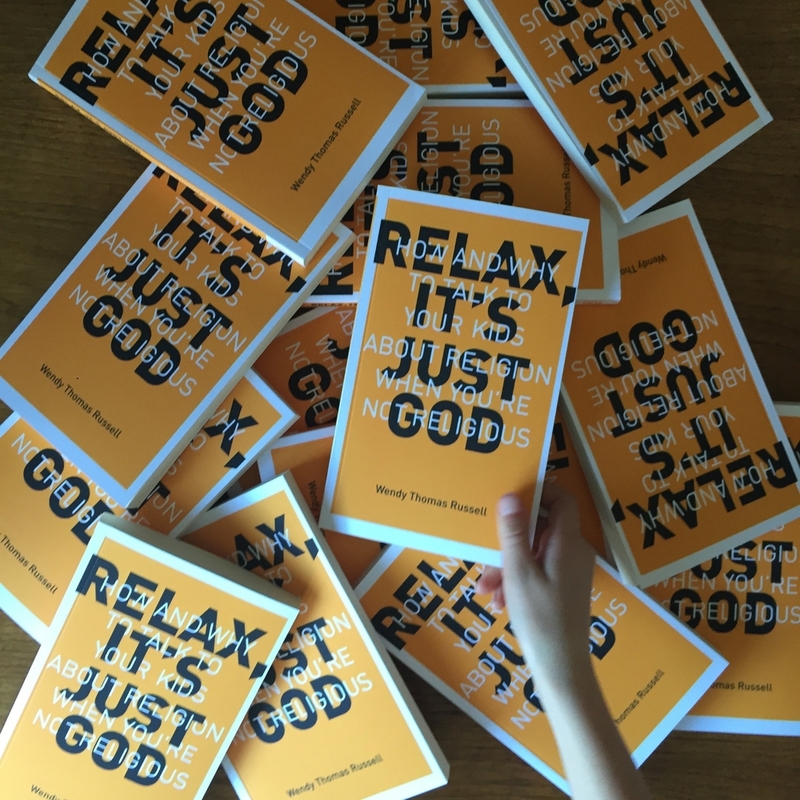 Relax, It's Just God: How and Why to Talk to Your Kids About Religion When You're Not Religious was released in March 2015 — four years after Russell began a blog of the same name. Reviewers and readers have said some nice things about the book, and she is grateful to each and every one of them. In 2014, Russell co-founded a small publishing house in Long Beach, CA. The mission of Brown Paper Press is to engage readers on topics of contemporary culture through quality writing and thoughtful design. For more information on the press, head over to Brown Paper Press or follow them on Twitter, Facebook or Instagram. I started Notes in the Margins: A Publishing Blog, over at Brown Paper Press last spring, only to put it largely on hold when my dad got sick and then, eventually, died. He was a figure who held tremendous importance in my life, both personally and professionally. So I wrote a thing. My next book, ParentShift: Ten Universal Truths That Will Change the Way You Raise Your Kids (co-written by parenting educators Linda and Ty Hatfield), got an unlikely surge of interest last month when the piece I filmed for the NewsHour (the one about timeouts) went viral ten months after it was released. Time to dust off the old blog here and offer a few updates. First off — for those of you who don't know — I'm writing a second book! ParentShift: A Guide to Raising Children Without Timeouts, Reward Charts & Other Old-Fashioned Gimmicks is a joint effort between me and my parenting gurus/friends, Linda and Ty Hatfield, of Parenting from the Heart.